Charlotte is a charming community in Mecklenburg County, North Carolina. This community is near the shores of Lake Norman for an amazing lifestyle. 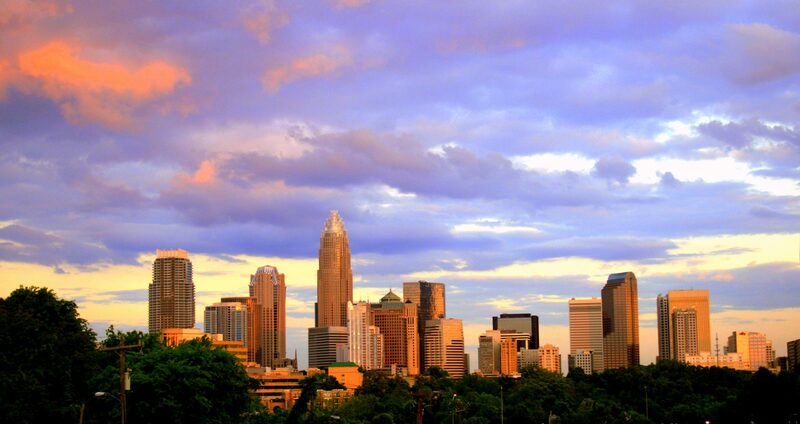 Charlotte offers a beautiful and convenient location just 45 minutes from the mountains, and 3 hours from the ocean. The community has seen tremendous growth in recent years, with great recreation, shopping and more. When it comes to North Carolina real estate, Charlotte homes for sale are an excellent investment! Residents of Charlotte NC real estate are met with many wonderful shopping options. Within the community are a number of retailers including the premium outlets and of course the Northlake Mall. There are also an assortment of unique boutiques and quaint shops. Additional shopping is available just 20 minutes away at the Birkdale Village, which features many specialty stores. Charlotte homes for sale are also near an abundance of recreational opportunities. Lake Norman is a popular spot for fishing, swimming and boating. Visitors of these well-maintained outdoor spaces can enjoy fantastic park amenities such as playgrounds, hiking trails, volleyball courts, multi-purpose fields, picnic shelters and more. There is a fine mix of real estate to choose from in Charlotte. Property choices include waterfront homes, golf course homes, luxury homes, modest single-family residences, condos and more. Architectural styles include ranch, arts and crafts, and traditional among others. Do not miss the Better than New Move-In Ready home in South Charlotte's McKee Ridge! Exceptional Features and Quality, this home is a must see. Beautiful 2 story open floor plan home features an office and formal dining room off the grand entrance. Chef's kitchen with large island is open to the spacious great room and overlooks the peaceful wooded backyard. Downstairs has a drop zone, walk-in pantry, a half bath and a large guest suite with full bath. Upstairs hosts the large master suite with luxury bath with dual sinks, separate fully tiled shower and tub and large walk-in closet. There are 3 additional bedrooms - 1 with a private bath and 2 share a jack-and-jill bath. An oversized bonus room completes the 2nd floor. LOCATION LOCATION LOCATION! Inside 485 South Charlotte off McKee Road. Providence High School District. Investor special in this home with tons of potential, good potential to open up floor plan, add a master suite, and more. Large yard on a Nice lot. Home next door was just purchased by investors, likely to be renovated!! No information on enclosed space on left side of home or when this was completed, no permits records available. Could be a great cash flow property, but also well suited for an extensive renovation. Incredible value in desirable neighborhood! This well-maintained and updated home is ready for you to move in! Hardwood floors everywhere except in MBR. Updated kitchen with granite counter tops, stainless steel appliances, island, and recessed lighting. Great Room with vaulted ceiling, gas FP, and ceiling fan. Updated bathrooms - granite counter tops, tile floors and shower/tub areas. Large MBR - easily fits king-size bed. Easy Maintenance exterior - brick, vinyl siding, and aluminum trim - and beautiful low-maintenance landscaped fenced yard. New HVAC in 2018. Seller has added lots of extras to this home - ceiling fans and closet lights in the bedrooms, crown molding, laundry storage, gardening/potting area, and many more. Great entertaining home - screened porch and large patio, with a quiet, private wooded back yard - a nature retreat in the middle of town! Large 2-car carport (could easily be enclosed). This one will not last long. Rare find completely renovated ranch style home on the 7th hole of Myers Park Country Club golf course. Totally gutted down to the studs . Open floor plan with raised ceilings in the kitchen and den/breakfast area with gas fireplace & built ins. Vaulted ceiling in large family room overlooking spacious backyard and golf course with wet bar. Gourmet kitchen with island , bar seating, granite countertops, professional level Wolf SS gas range and oven. Floor plan has many different options. Living room/dining room with gas fireplace . Gracious master suite with luxurious bath ,walk in closet, overlooks back yard and golf course. Door to covered terrace with wood burning fireplace and stone patio. Also door from the family room. 2 other bedrooms with en suite baths. Guest / 4th bedroom, office and full bath on other side of the home. 2 car attached garage . Mud room. Circular drive with plenty of parking. Home sits back from Sharon with large front yard. Perfect for entertaining!!! Most popular floor plan in Park Walk. One Bedroom up and One down. Open first floor great room/ dining and kitchen with wood flooring and fire burning fireplace. Nicely landscaped with patio at front entry and open patio area in the back. Updates include beautiful granite countertops, stainless appliances in the kitchen, HVAC and hot water heater, most of the windows. This home is on the outside edge of the complex. Park Walk 2 HOA includes landscaping, exterior maintenance, trash, water and sewer along with the use of the pool and tennis court in Park Walk One. Park Walk is conveniently located off Park Road just south of South Meck High between South Park Mall and Carolina Place Mall, only a short drive to the light rail, conveniently close to the new greenway extension and easy access to 485 and 77.